Valentine's Day is one of those days that is meant for chocolate coated chocolate dipped chocolate. These yummy caramel stuffed truffle cookies are just that, with a touch of caramel inside for good measure. 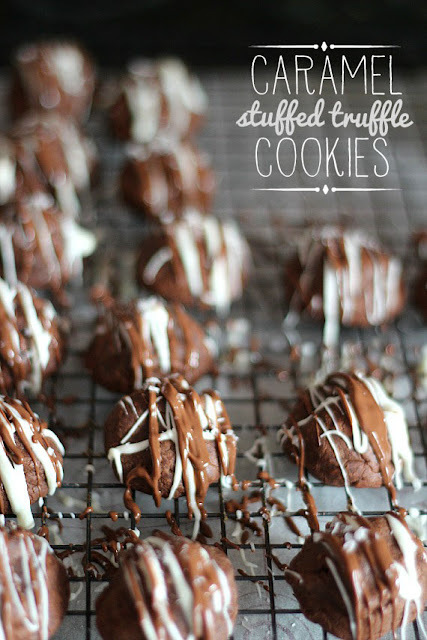 You can get the caramel stuffed truffle cookie recipe over at Cookies and Cups.